Sacoa PlayCard has partnered with Megma Print-O-Pack of India to represent their debit system in that market. The two companies exhibited together for the first time at the recent IAAPI trade show (Feb. 5-7 in Mumbai) as Megma-Sacoa. Attendees were able to see the PlayCard lineup for FECs, amusement parks, arcades and water parks. Sacoa's Brian Duke traveled to Mumbai for the event and was excited about this new working relationship he helped establish. 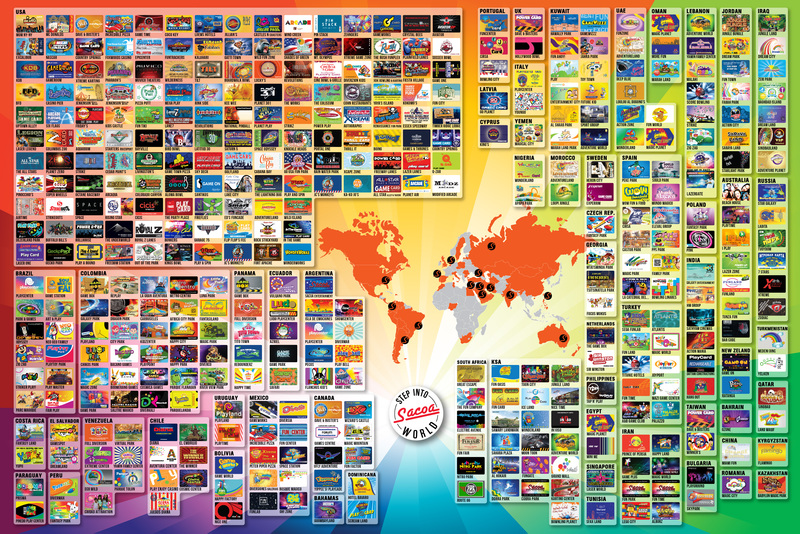 "We had wanted to create a larger presence in the Indian market, so we're extremely pleased to add Megma Print-O-Pack to Sacoa's global team," exclaimed Duke. "Now we are able to offer our product to customers in India through this local partner who has over 20 years of experience selling tickets and wristbands to our normal customer base." Megma Director J.P. Lawania added: "We explored other cashless payment systems, but I knew Sacoa was best for Megma and our customers. Our reputation in the amusement industry is most important to us, and Sacoa shared our commitment to service and support. The strength of our two companies will be great for entertainment locations throughout India."